Peter Flynn was born around 1850 in Dublin. His family emigrated to America when he was about five and left him in the care of his Aunts who ran a Haberdashery shop off Grafton Street. He enlisted into the army in 1867 and served in India for a number of years. When he enlisted he gave his next of kin as his sister Julia living in Ohio in America. He served in India till 1883 and when he returned to Ireland he was stationed in Ballinrobe (barracks) arriving in September. 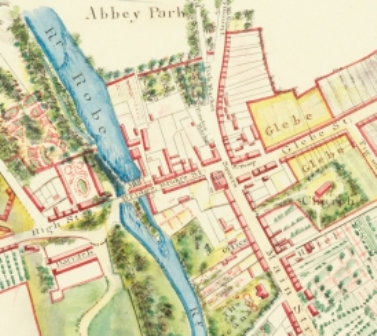 In 1884 he married Margaret Gawley, the daughter of Michael Gawley and Jane McLoughlin in Ballinrobe. Michael Gawley had died previously in 1870. Michael and Jane Gawley had a number of children, Mary (1860) and Margaret (1864). Honour (1866) and John (1869), Mary married Michael Reilly and they had seven children, Mary (1880), Michael (1883), Margaret (1884), Jane (1887), John (1888), Bridget (1891) and Delia (1894). John Gawley married Mary Size. In 1885 Peter and Margaret Flynn, had a daughter who they christened Margaret Jane while living at the Infantry Barracks Castlebar. 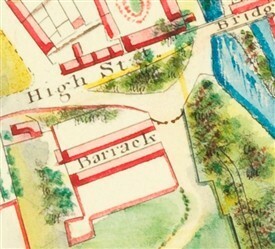 In 1886 they moved to Ship Street Barracks in Dublin. In 1886 they had a son Thomas John and in 1888 they had another son Edward. They then moved to Fermoy in 1889 where sadly Margaret Jane passed away from Bronchitis. In 1890 they had another son christened Peter James but he also died in 1891 from convulsions. They then went to England and in 1891 they had another son Daniel while at Fulwood Barracks and another son Henry who was born in 1893 while in Preston. When Peter was discharged from the army the family travelled home to Ballinrobe to live and in 1895 they had a daughter Mary. In 1896 while living a New Street they had a son Michael, my grandfather, in 1899 they had a daughter Julia and in 1900 a son who they also called Peter. On the 5th August 1902 they also had a daughter who they called Jane. The family lived in New Street. 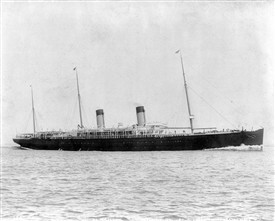 Thomas emigrated to America from Queenstown on the SS Majestic in 1906. He stated he was travelling to his cousin Margaret Reilly at, Jersey City. Thomas married Catherine (might be Torpey) and they had a daughter Margaret around 1926. Thomas worked for the Railway Express Company, Erie Depot. Their daughter Margaret married a man called Mazuroski. 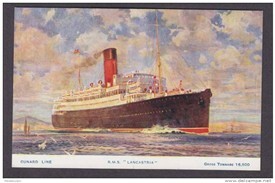 Daniel also emigrated to America from Queenstown (Cobh) Cork in 1910 on the SS Arabic. In the 1940’s he came home and then lived in Glasgow until he died. 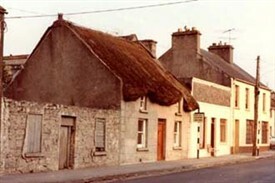 Edward was then living at 3 Church Lane with his wife Evelyn from Co. Galway having married less than a year before. In 1920 Peter Flynn Senior died of cancer and in June 1928 Margaret also died of cancer. In September 1924 Jane (Jennie) Flynn married Martin Mellett whose father was James Mellett (deceased). My understanding is that Martin passed away from TB and Jane then emigrated to America from Cobh arriving on the Lancastria in 1926. She stated she was travelling to her brother Thomas in Jersey City. She remarried a Belgian man called Albert Riske and they had a son Frank and a daughter Celestine. I think she may have passed away in Florida in 1979. Mary married Martin Quinn in 1914 they may have had a daughter Julia who I understand married Michael Duffy in the 1950’s, Mary may have passed away in the 1950’s. Henry moved to Glasgow in Scotland and married Mary Igoe, they had two sons Bernard and Harry. Julia married Denis McMillan in 1919 and they moved to Glasgow. Peter married Mary and they had two sons Martin and Peter. They lived in England but moved back to Ballinrobe in the 1940’s, all are buried in the New Graveyard in Ballinrobe. Michael and Jane Gawley are buried in the old cemetery. The gravestone has recently been replaced. I have never been able to find Peter and Margaret’s grave. Hopefully by writing this there may be people who can fill some of the blanks and I would ask anyone who can help complete this story to get in touch. It has taken a number of years to piece this family history together as a lot has been lost over the generations. Peter Flynn first arrived in Ballinrobe in 1883, met his wife and raised a family, as far as I can tell the last of the family (Peter) still living there passed away in 1995 but given the refurbishment of Michael and Jane Gawley’s grave there must be some of their descendants living in the parish. This page was added by Averil Staunton on 26/09/2016. Hi I'm looking for the family of my Grandad Daniel Flynn from Ballinrobe. Hello Michael. I'm interested to know how much you know of Henry Flynn, his wife Mary Igoe, & their children. Would love to see photos of them. Mary is a younger sister of my grandmother Catherine. The Igoes were from Rostigue, just north of Carnacon.